It’s already almost half a year since I updated my Quest. After that I have ridden more than three thousand kilometers. 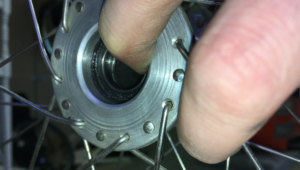 During that time, I found there is some play in the rear wheel and I tried to reduce it by various means. After this article, I found yet another place where there was play. The rear hub bearings were able to move laterally inside the hub. 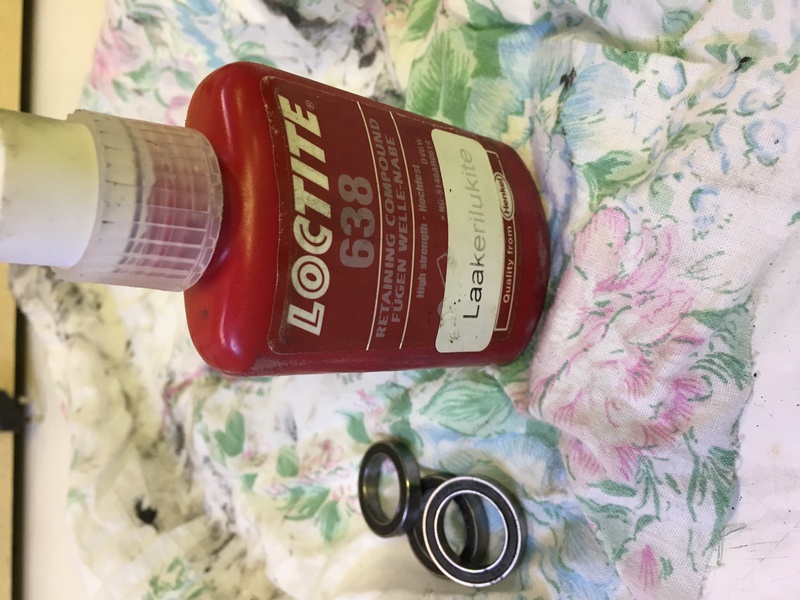 I got advice from Velomobiel.nl to use Loctite and glue the bearings to the hub. I think I got rid of the play almost entirely. 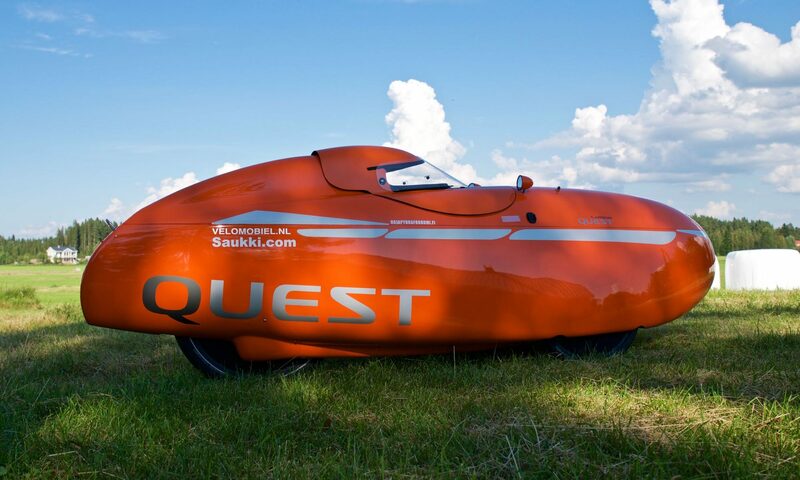 The rear end still feels a little loose, but it is probably a feature on this velomobile. When thinking about riding stability it occured to me that what if the new slightly longer rear shock also affects the steering geometry. The rear end was little higher than before in relation to the front end. After all, it might slightly affect to the steering geometry. Well, then I decided to shorten the rear shock a little more. But I did not notice any significant change in the steering behavior. I rode first over a thousand kilometers with Schwalbe Marathon Plus tires. With the new stiffer suspension they felt really hard and uncomfortable. All unevenness in the road felt sharp and there was a lot of noise inside the body. Then I changed the summer tires – Schwalbe Shredda. Everything changed. Riding experience is much softer and the unevenness of the road is no problem. It’s even quite pleasant to ride on a good gravel road. Therefore the tire choice significantly affects the riding comfort. 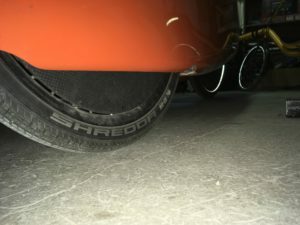 The stiffer front suspension was suppoused to improve stability when cornering. I have not dared to test how fast I can run in a corner, before crashing Quest. I do not want to try that at all. But I can say that now I feel much more secure when cornering. New rear shock was suppoused to improve performance. I have no data about that but the new shock feels considerably more stiff and the rear end isn’t bouncing so much when pedaling. That means that larger proportion of the power is transmitted to the road, and not to bounce the spring. 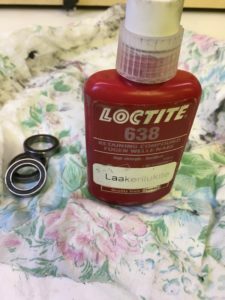 I didn’t made any major changes to the drivetrain. But the new aluminum idler is a little bit noisier than the original plastic idler. It also can move sideways on it’s mount, which causes new noises to the drivetrain. All in all, I must say that the upgrades were successful. I can recommend the suspension upgrade to all Quest and Strada riders. While the new springs are stiffer, you can still significantly affect the riding comfort by your tire choices.